If there are diseases that can be controlled to some extent by what you eat, diabetes could be one of them. 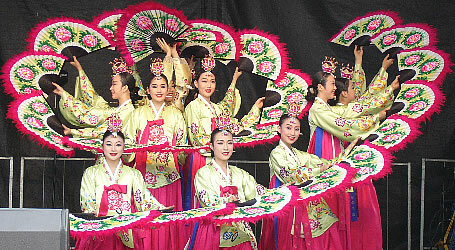 While the number of people suffering from the disease has been increasing steadily, with one out of ten Koreans fighting diabetes, there have been few professional and useful guidebooks on how they should eat. 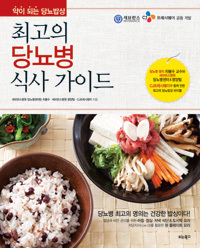 The Korea Times will introduce some recipes from the “Best Recipes to Fight Diabetes” by Professor Cha Bong-soo at the Severance Hospital of Yonsei University Health System, the Nutrition Team at the hospital and CJ Freshway, published by Vita Books from next week. It opened a new chapter in recipe books here as it was prepared by diabetes and nutrition experts as well as a leading food service company in the country. The book says that diabetes is often due to bad dietary habits and lifestyle. Korea is seeing a steep surge in diabetes patients from two decades ago, and this has to do with changes in diet and lifestyle: People are eating fat and high calorie instant food instead of vegetables and fermented foods that their ancestors used to enjoy. Cars and home electronics, meanwhile, have lessened physical exercise. As people eat too much, the body absorbs too much glucose, and increasing amounts of insulin are needed to deal with it. The pancreas, which secretes insulin, becomes overloaded, slowly losing its capability to remove glucose. Below are some tips for diabetes patients from the book. — Diabetes patients don’t have to be vegetarians. The fiber in vegetables slows down absorption of glucose, thus preventing a steep rise in blood sugar levels. Many people think they should quit meat when they become diabetic, but such an imbalanced diet may produce other health problems. They should take meat that has abundant protein but little fat. — Fasting or eating too little isn’t a solution. While sugar pulls up blood sugar level, it is an essential energy source. Limiting it too much in the diet may incur hypoglycemia. Experts advise that they eat adequate amounts, regularly. — Fruits raise blood sugar levels, though not as fast as the sugar. They should take limited amount of fruit. — Refrain from snacks. The snacks taken between meals make you gain weight. A pack of cookies, a slice of bread and a drink don’t seem to be too much but they give an extra 1,000 calories. — Know the glycemic index. There are foods that raise blood sugar level faster than others. These foods have a high glycemic index. Brown rice and whole wheat bread have a low glycemic index while the figures are high for white rice and white bread. The index also shows that apples and pears are better than tropical fruits such as bananas and mangoes. — Eat slowly. It takes at least 20 minutes after starting eating for the brain to note that you are full. The blood sugar level also rises steeply when you eat fast. Diabetes patients should eat slowly so that insulin can handle the glucose. — Avoid alcohol. On top of its own calories, alcohols stimulate appetite. It will make one take excessive calories, which will lead to abdominal fat that causes diabetes. A glass or two is enough. — Eat onions and fruits, and use aspartame instead of sugar for cooking.